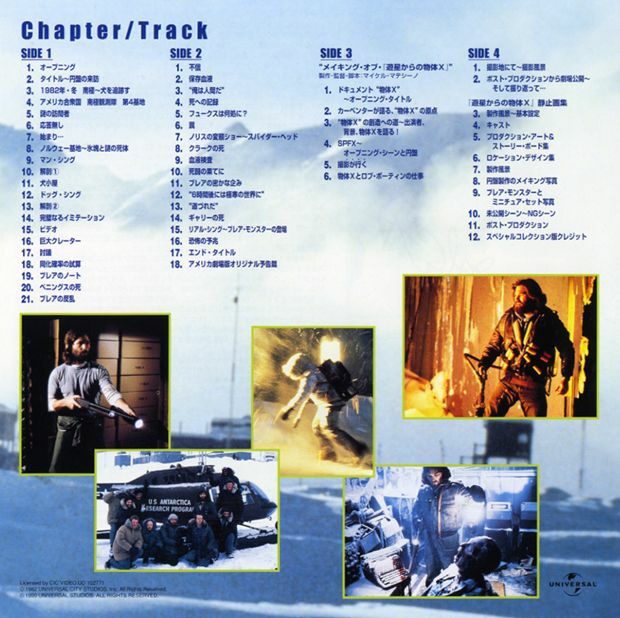 Sides 1 and 2 hold the movie in AC-3, with audio commentary by Carpenter and Russell on the analog left channel in English (a Japanese translation is provided as an 8 pages booklet). 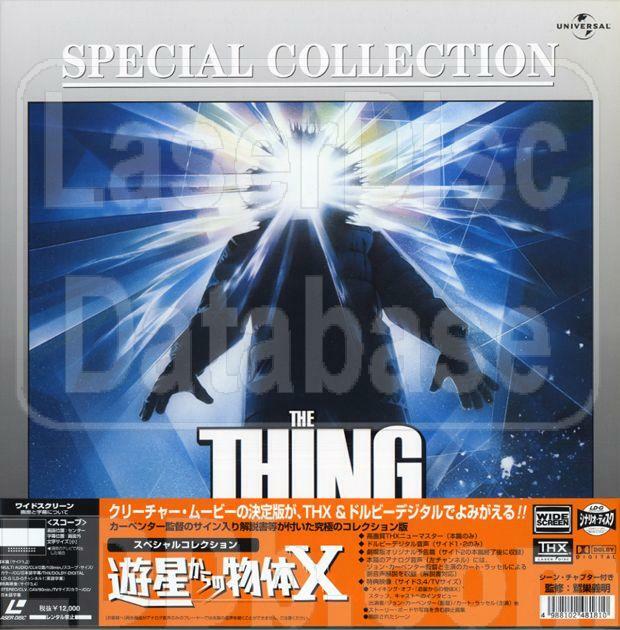 Trailer at the end of side 2. Sides 3 (CLV) and 4 (CAV) hold extras: making of, storyboard, stills, deleted scenes.